AbbVie’s share price has nosedived after poor results from a phase 2 trial of its antibody-drug conjugate in advanced lung cancer. The company will not ask for a fast FDA approval, as originally planned, after rovalpituzumab tesirine, or Rova-T, produced disappointing topline results as a third line treatment for small cell lung cancer (SCLC) drug. AbbVie has forecast sales of up to $5 billion from the drug, which was targeted to patients with high expression of a protein called DLL3. In a summary of the single arm trial in 177 third line patients, only 29% of patients showed a complete or partial response before receiving any further treatments, and only 16% showed a response after more than four weeks. These figures suggest the drug is little better than standard chemotherapy, a particularly disappointing results given the targeted population. The overall survival rate was 5.6 months, and patients had a 17.5% probability of surviving a year, although it is difficult to draw any conclusions from the survival data in the absence of a comparator arm. The news sent shares down more than 14%, wiping around $24 billion from the company’s value as investors worried that this could spell trouble for one of AbbVie’s future sales hopes. Rova-T is one of a group of drugs that AbbVie hopes will replenish sales as its big selling inflammatory diseases drug Humira (adalimumab) goes off patent in the coming years. The results also caused investors to question AbbVie’s $5.8 billion acquisiton of Stemcentrx, the biotech startup that originally developed Rova-T.
It’s becoming increasingly common for drug firms to use phase 2 trial results as a basis for a accelerated cancer drug filing and a conditional licence, and confirm safety and efficacy later using data from a big phase 3 trial. 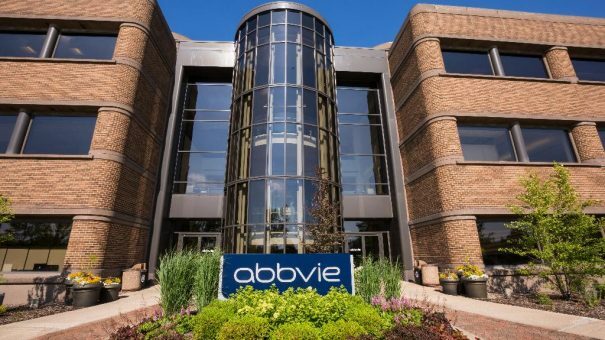 But after discussions with the FDA, AbbVie has decided to wait until results from ongoing phase 3 studies before applying for a licence in patients in the earlier stages of the disease. AbbVie will continue with its phase 3 MERU and TAHOE studies, which are assessing Rova-T in first and second line small cell lung cancer respectively.